The Solanum tuberosum (potato) is a basic component of healthy cuisine. You can buy potatoes in every supermarket. But potatoes can also be easily cultivated in a home garden. There are many different varieties and harvest yields are very high. But also a potato plant needs appropriate care. This instruction for planting and cultivating should help you to make potato growing single-handedly a complete success. Every German consumes an average of 110 pounds of potatoes per year. The potato (Solanum tuberosum) ranks among the most popular fruits and is indispensable in cuisine. Potatoes can be prepared in many different varieties, whether as French fries, boiled potatoes or mashed potatoes, it is always a delight. A large potato (Solanum tuberosum) variety is offered on the marked. 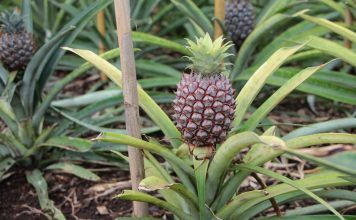 In every country, different varieties thrive with certain characteristics. 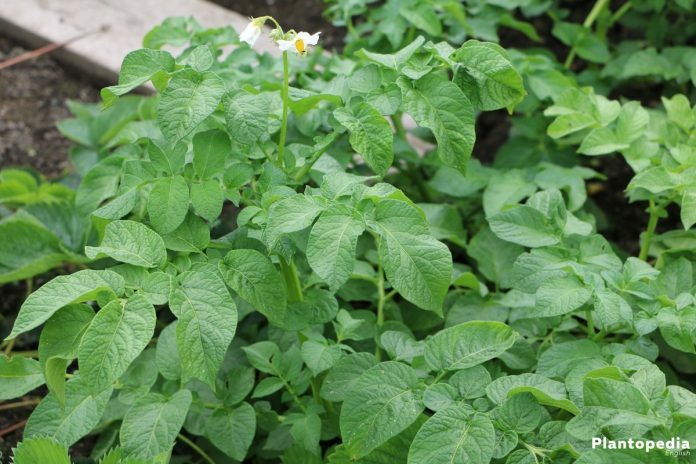 The potato (Solanum tuberosum) can also be cultivated in a home garden. Those who don’t have a home garden can even grow them in buckets or boxes. Cultivation is worthwhile either way because this way, you also have the chance to grow older or special varieties which aren’t available in a supermarket. Potatoes taste even better when they are harvested fresh from the own garden. use humus-rich soil, ideally sandy and loose soil. Also loamy soil with a high sand proportion works well. Potatoes should not be planted on heavy soils, since they are unsuitable due to their air and temperature conditions. 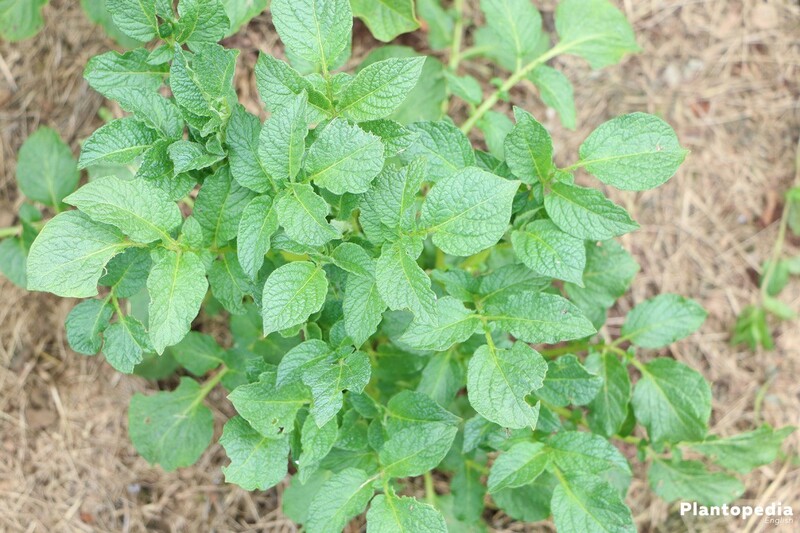 Potatoes are sensitive to frost and therefore should not be planted before mid-April. The indicative value is about 48 F°. Keep the potatoes for about 6 weeks in a light room at a temperature of 50 to 59 °F. This way, the bed will soon be available again for other cultures. Now create trenches with a width of 4 inches in the bed with a hoe. The tubers are then placed with their shoots, the eyes, facing upwards. Early potatoes should be planted within a trench with a distance of 12 inches. The distance between the trenches should be 28 inches. Never use tubers with pale, thin shoots from your basement. Only use the best seed tubers for propagation. From April the plants can be placed outside. For this purpose, prepare a bed two weeks in advance. Fill the bed with nutritious and humus-rich, crumbly soil. Potatoes develop best at temperatures between 61 and 70 °F. Temperatures above 86 °F may constrain the potato plants. Often they will no longer develop tubers. When temperatures are too frosty, potato plants should be covered with straw or fleece, in order to prevent them from freezing. Usually the plants will grow new leaves, even if the foliage already froze. In this case however, the potato plants are more prone to diseases, they develop worse and crop is reduced. If you placed your planting rows in East-West direction, you should ensure an even better insulation by keeping a planting distance of 24 to 28 inches. This way, the surface will warm up faster and the soil will dry quicker. Please make sure to follow a four-year phase of cultivation on the same soil. After planting potatoes, you can grow for example endive, kohlrabi, lettuce or bush beans on the area. Early potatoes are suited as preceding crop, since they ensure loose soil with few weed. 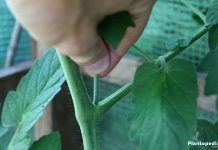 Potatoes can usually be easily propagated. Use progeny tubers which have at least one eye. Place the seed potatoes in a flat box. The side with the most eyes should point upwards. After a short while, the first shoots will develop. The boxes need to be stored in a light place with a temperature of at least 59 °F. 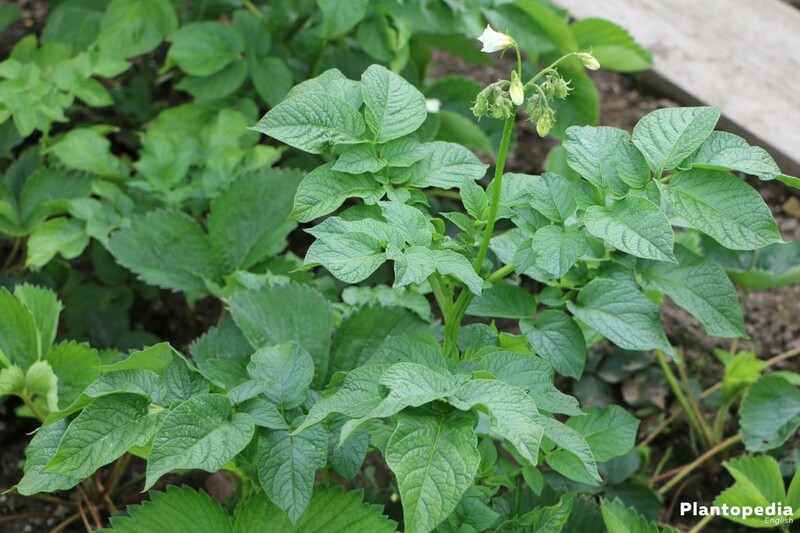 Already in early June the plants will bloom and you can now harvest your first early potatoes. Harvest early potatoes only according to demand, since they don’t store well. Early potatoes are lacking the protective cork layer and they will wrinkle and lose their almond-like flavor, if not consumed timely. They are only suited for fresh consumption. Wait until the tubers are large enough to be usable for cooking. For digging up the potatoes, don’t use a spade, in order to avoid damaging the tubers. For this purpose, a digging fork is more suitable. Lift the perennial with the fork and pull the attached tubers out of the soil. Usually, potatoes aren’t harvested until the plant wilts and gets brown leaves. Now is the optimum time to dig up the potatoes. 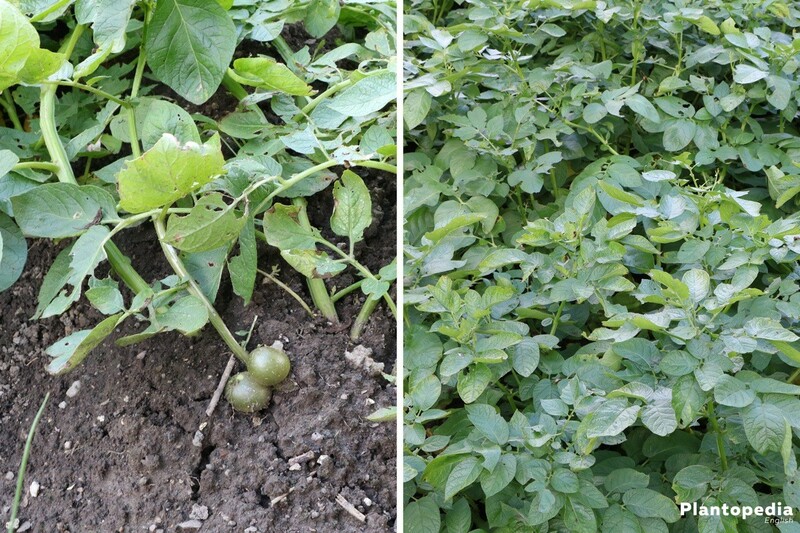 The potatoes can easily be found when the soil around an area of 20 to 24 inches around the plant is lifted up. Potatoes which are green and were located on the surface should not be consumed, since they developed the toxic substance solanine. 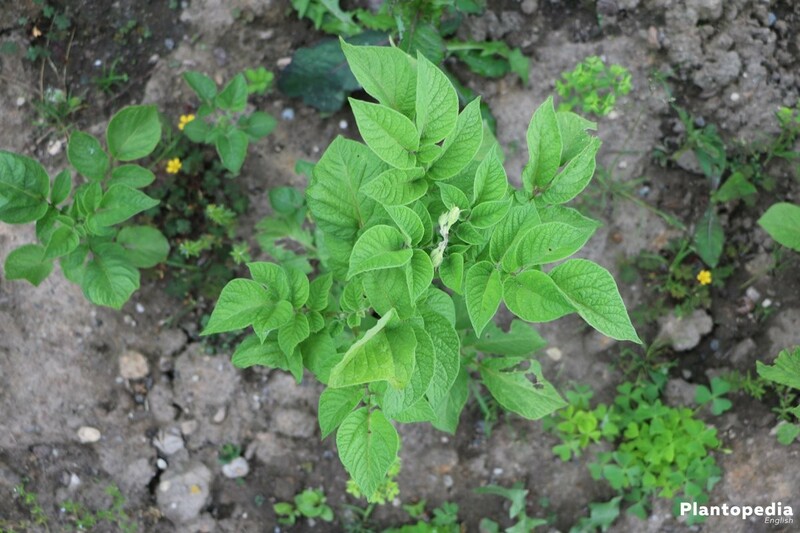 The concentration of solanine is considerably higher in older potato varieties than in present varieties. Newer varieties contain a solanine amount of 3 to 7 milligram which is mainly located in the peel though. From the moment they develop tubers, potato plants need a lot of water. In times of drought, water them generously. 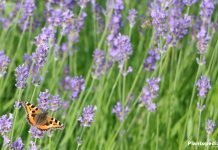 It is best to water them in the morning so that the surface of the soil can dry again until the evening. Never sprinkle the leaves, it will result in mold infestation. In autumn you should prepare the soil for the potatoes. Preferably, fertilize it with dung. In spring, compost is incorporated into the planting bed. 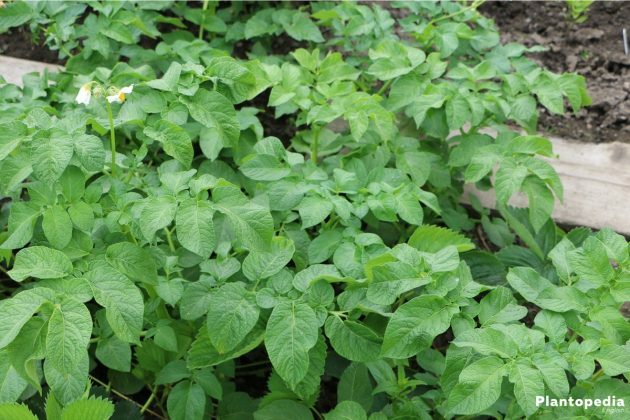 Potatoes need a lot of nutrients and thus, fertilization with magnesium is very important. If there is a lack of magnesium, it might result in a nutritional disturbance for the plant. These deficiency symptoms are caused by an increased concentration of potassium in the soil. Loosen the ground. This will have a favorable effect on the development of the tubers. Potatoes should be earthed up regularly. This way you can considerably increase yield. By being earthed up, potatoes develop a large number of progeny tubers. This way you prevent the tubers from turning green due to the exposure to light. Repeat this procedure every other week when the plants are flowering or the mounds are 12 inches high. 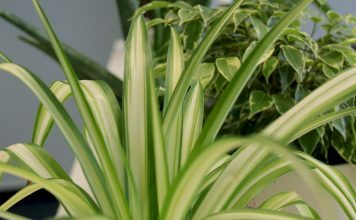 When there are long periods of drought, the plants should be watered regularly from mid to late-May. When earthing up, make sure to remove all weeds between the potato perennials. Potatoes should be stored in a dark, slightly humid, but airy room. Basement rooms are suited well for this purpose. The ideal room temperature is at + 45 to 46 °F. When temperatures are higher, they might start chitting. At lower temperatures, transformation of starch and sugar happens faster and makes the potato sweeter. Potatoes need a dark storage location. When exposed to light, they develop the toxic substance solanine which is visibly by green coloration. These areas essentially have to be removed before consumption. Store the potatoes dry or loosely piled up in boxes. Dumping height should not be higher than 16 inches. In the Andes alone, more than 400 potato varieties are cultivated. About 70 years ago, scientists started to secure wild potato varieties and conventional cultures in genetic databases. Even today, in the Andean highlands where potatoes originate from, farmers still cultivate over 400 potato varieties. They not only differ in color of tubers and blooms, but also in taste. 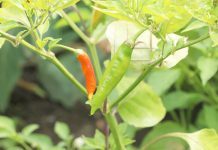 The diversity of early, midseason and late varieties also has a positive effect on selections in the home garden and provides alternation. The risk of poor harvest is significantly decreased. Infestation with pests and diseases is also reduced. 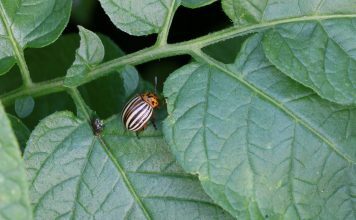 Also potato beetles and potato scab occur less frequently. In order to prevent the common blight it is best to plant the potatoes quite early. late varieties (150 to 180 days). Potatoes are actually counted among robust plants. Nevertheless, they can be infested with pests and diseases. When the soil is too dry in the summer, potatoes are more prone to pests. In contrast, when the soil is too moist, fungi have excellent living conditions. 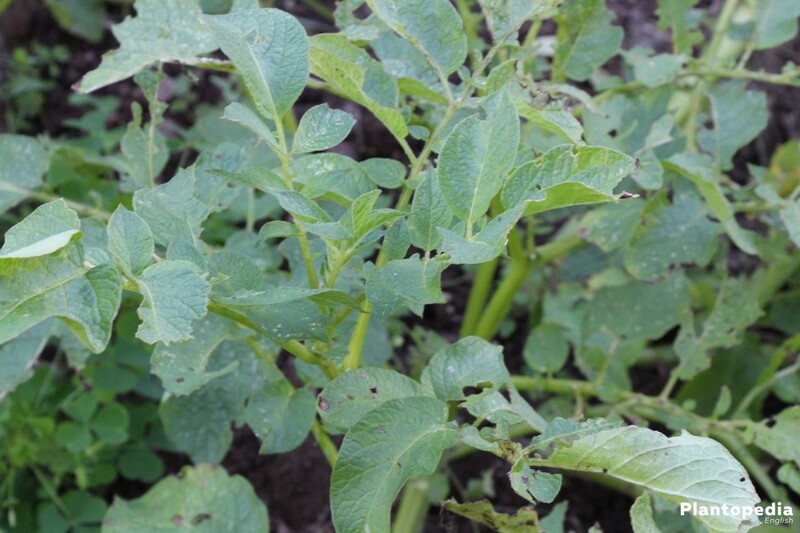 For early potatoes, late blight can become very dangerous. 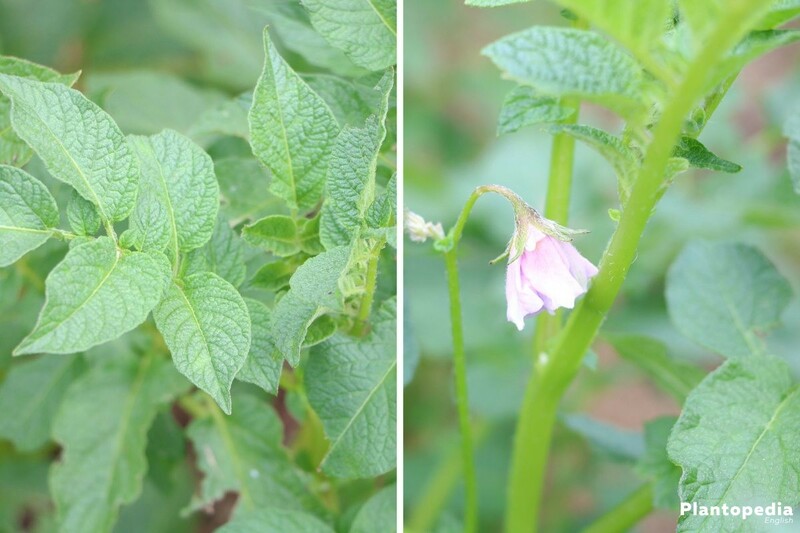 Especially moist-warm weather conditions pose a risk to potatoes getting infected with the disease. Brown spots that spread from the edge of the leaves are typical symptoms of late blight. It is a fungal disease which is hard to prevent or to control. 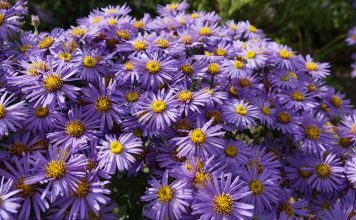 At the worst, foliage dries up which in turn causes the entire perennial to die off. 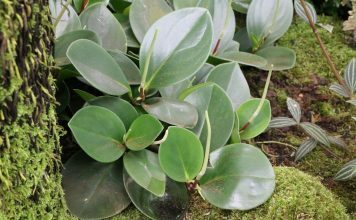 It can be recognized from the sunken and lead-gray spots that are visible on the tuber. 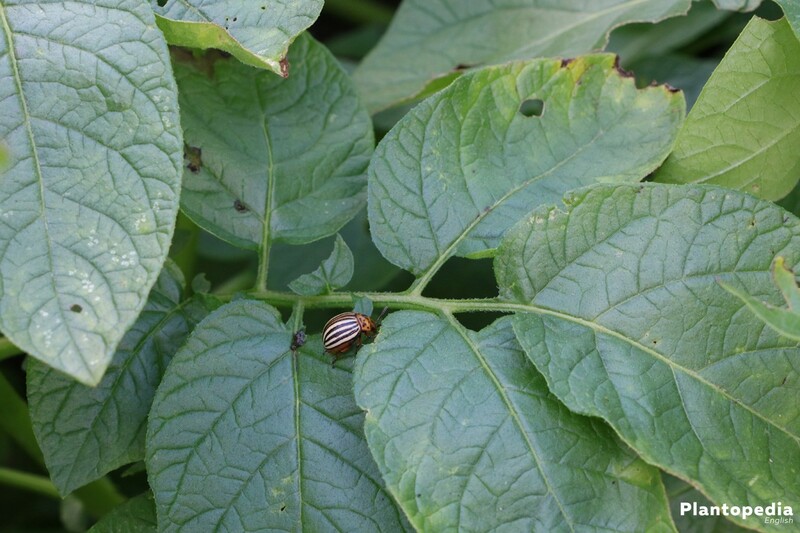 In the potatoes’ growth period other pests like the potato beetle can infest the plants. The beetle stems from the USA, but has meanwhile spread throughout Europe. A typical characteristic of the beetle are its black-yellow striped wings. 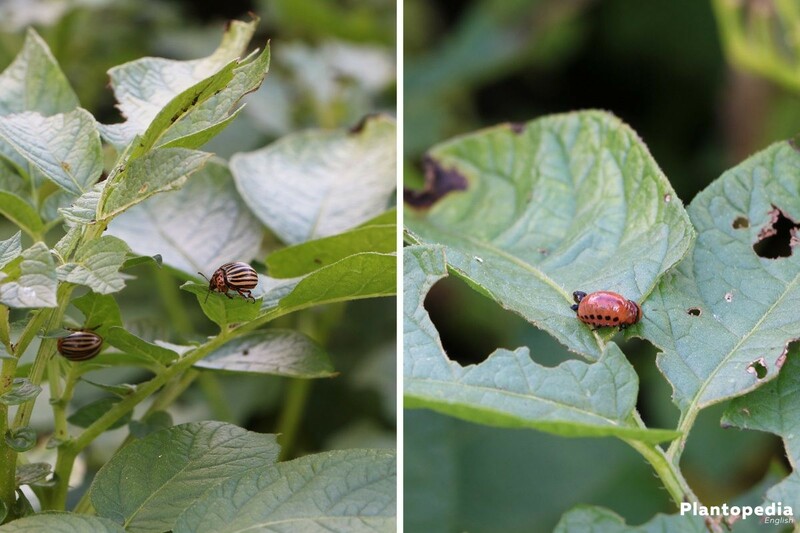 In order to repel the potato beetle from the potato plants, you only have one option: collect and kill the beetle and its larvae. Potato scab is a bacterial species which occurs mainly in loose, sandy soils. The looser the soil, the easier potato scab can spread, since it is reliant on oxygen. 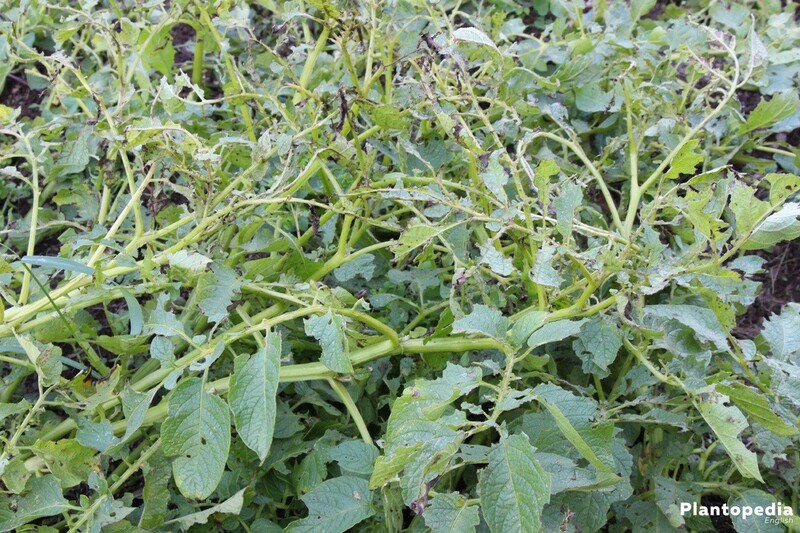 The disease spreads in all potato growing areas. 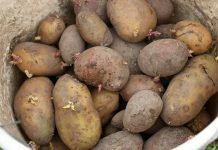 Due to the scab, the external quality of the potatoes suffers and its market value as a table potato is reduced. Via the scab areas also other parasites have the best conditions to infest the potato. The disease dos not influence flavor, but it results in increased peeling losses. Potatoes that are infected with scab have a limited storage life. Potato scab only occurs on the tubers. 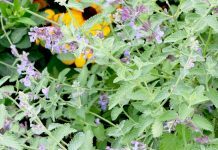 The perennials per se don’t display any symptoms. The scab is recognizable by cork-cracked, brown spots. In serious cases they join together into scabbed areas. Another disease is blackleg. It occurs quite frequently in potatoes. This disease is also caused by bacteria. Only severe infestation can result in harvest losses. The potato plant quickly becomes infected when it was planted in too heavy soil. This leads to waterlogging which potatoes cannot endure. The plant becomes stunted, turns yellow and finally dies off. Especially the stem is affected which is recognized by the typical black discoloration. Plants that are infected by blackleg can easily be pulled out of the soil and emit a pungent odor.